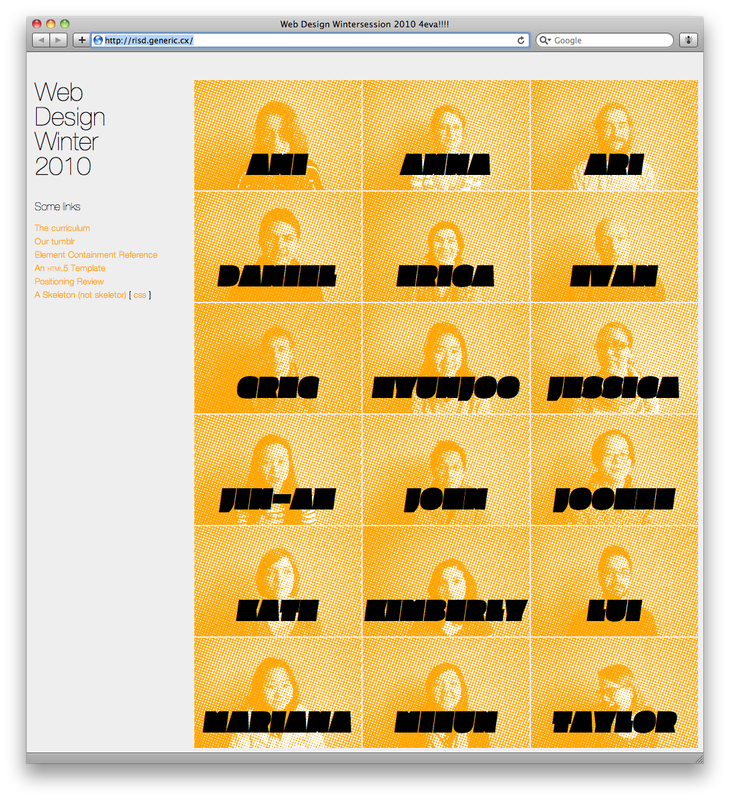 Risd Web Design || This is Generic Dot Cx. 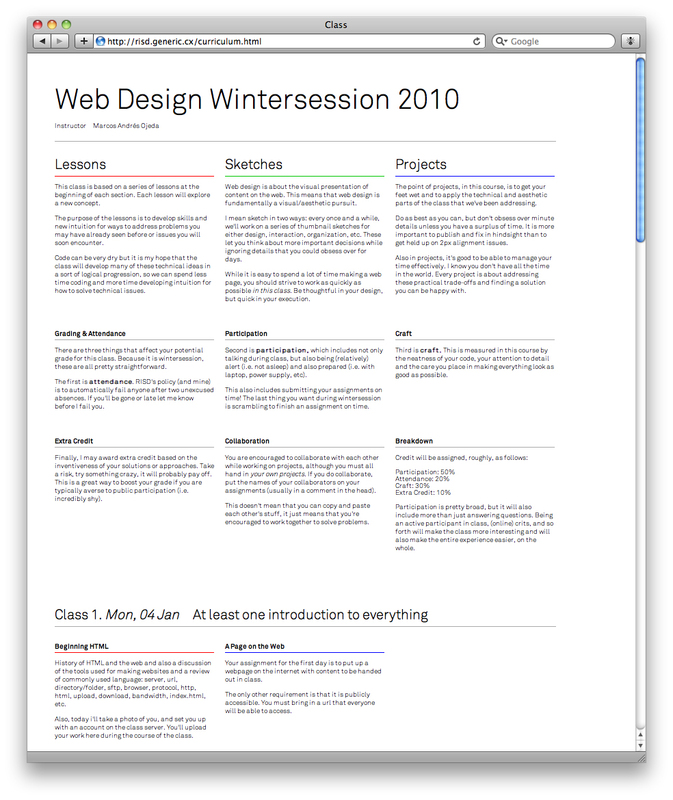 In the winter of 2008 and 2010, I taught risd's winter web design course. The curriculum was focused around the use of emerging web technologies such as @font-face and css transitions, as well as using jquery for minor interaction details. 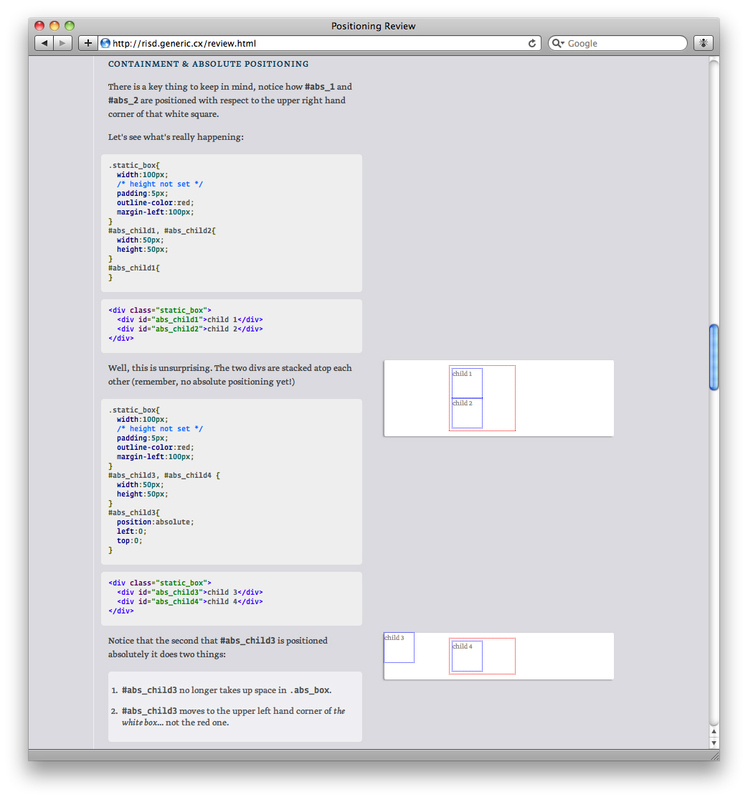 The final project was an interactive mixtape that was accomplished by using a html5 (degradable to flash) plugin.